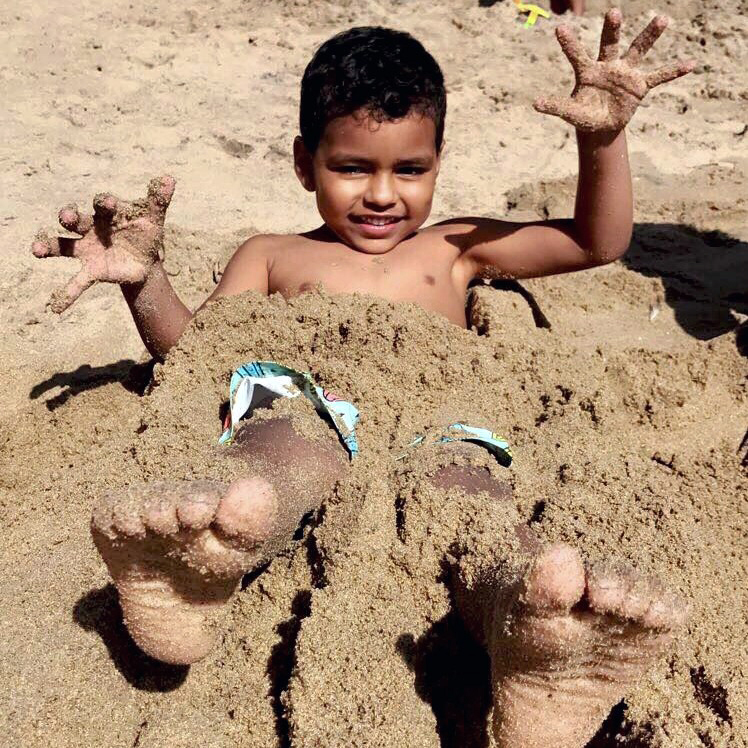 Benjamin and I just got back from spending two weeks in California, visiting family and friends for an extended Spring Break. We spent 9 of those days in Southern California, which is where I'm from. 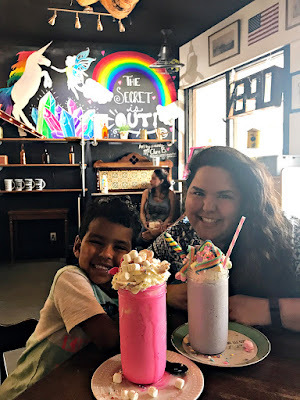 Although I was a nanny there for 8 years, I wanted to put together an itinerary of mostly new experiences for us both. 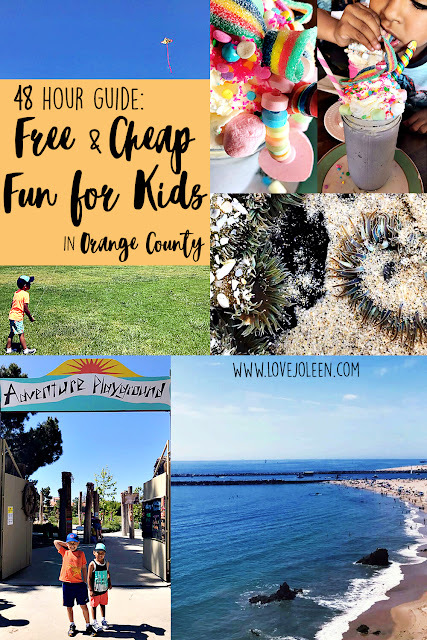 With summer quickly approaching, I thought it would be fun to start a new series here on Love, Joleen – family-friendly guides based on our experiences, on how to spend 48 hours with kids in various locations, without breaking the bank! Address: (Not to be confused with the Adventure Playground that's only open during the summer in Huntington Beach.) This Adventure Playground is located at 1 Beech Tree Lane in Irvine. Hours: March through October, the park is open from 10 a.m. to 6 p.m. daily. November through February, the park hours are 10 a.m. to dusk, daily. They are closed for all major holidays and close early on Independence Day and NYE. Listen, this was one of the best parks (if not THE best) we've been to, ever. My kid is still talking about how much fun he had with his cousins! And it's really no wonder. It's one of only 3 parks of its kind in the entire nation! It's known and loved for the unstructured play opportunities it provides. While there is a more traditional play structure on the playground, there are several other sections of the park, which lend to the "adventure". 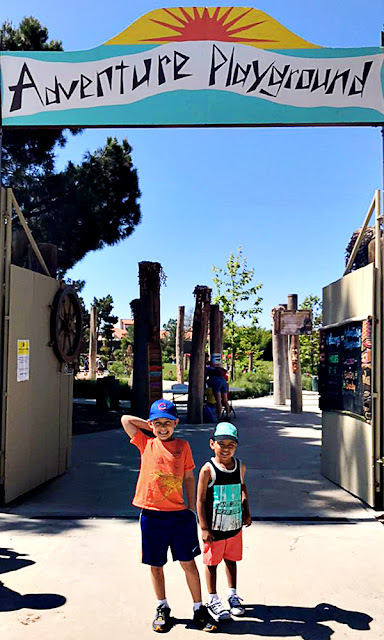 The playground includes a tree house, sensory garden, climbing poles and stumps, slides, art wall, kids fort zone, meadows and natural play areas. 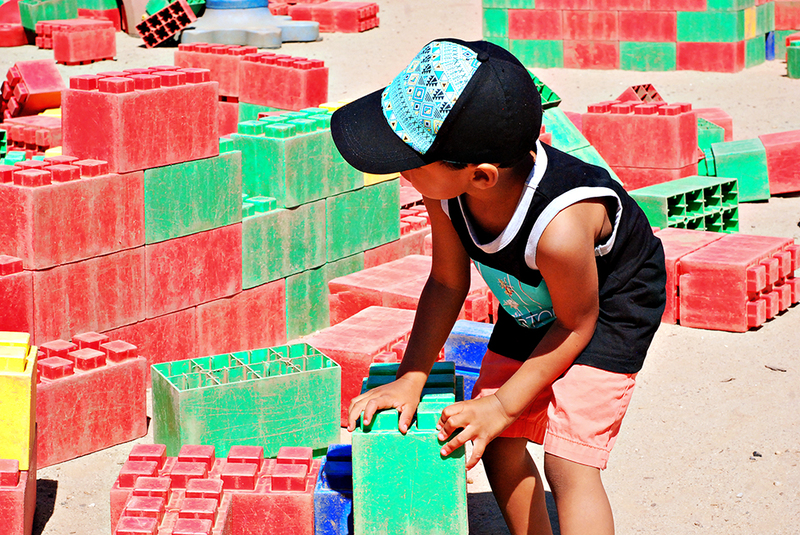 The boys loved going down the smooth concrete (yep!) slide and racing back to the top. I only had about 10 heart attacks watching. 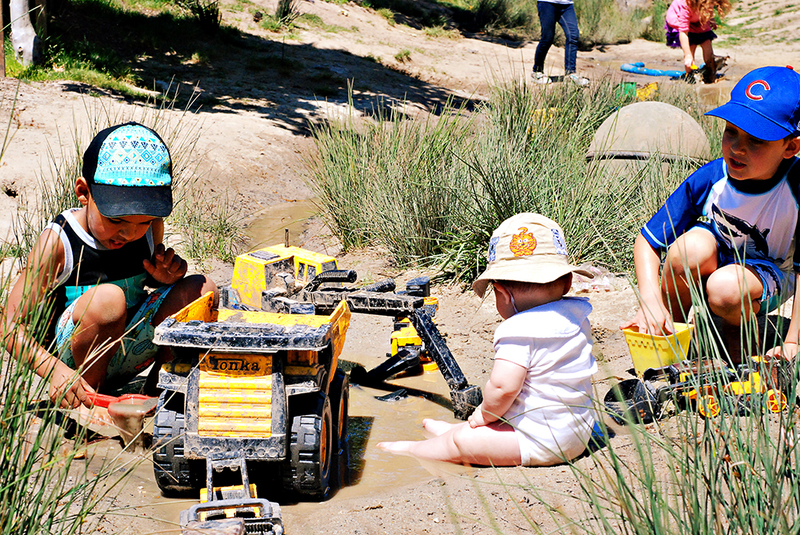 Benjamin, who LOVES digging, especially with diggers, loved playing in the mud with the toy trucks available. Both of the older boys enjoyed the sit-on diggers in the sand too! 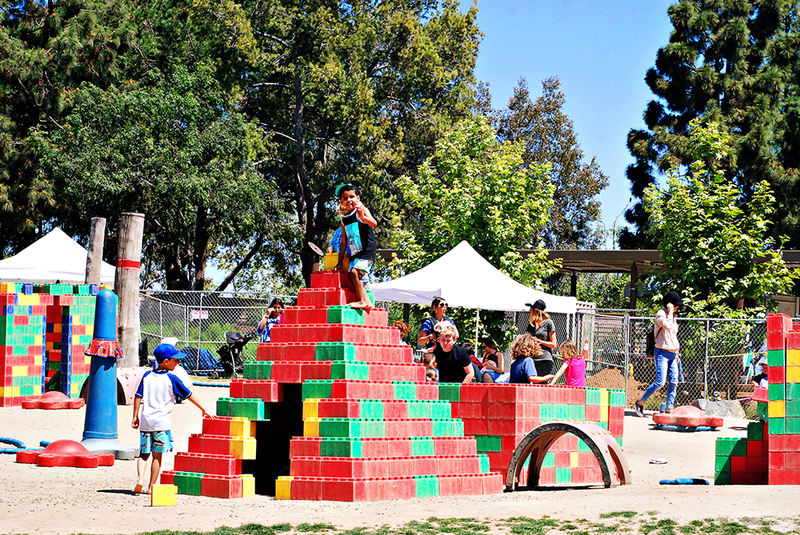 One enthusiastic parent, built this pyramid fort for the kids. They were able to go inside it and climb up the sides. So fun! If you're visiting from out of town (or even if you live in the area) this park can totally be an all-day event with the right preparation. Get there early. I'm talking, when it opens. Parking is limited in the immediate lot. There is also limited shade. We saw to pop-ups with chairs underneath. I'm not sure if that's a regular thing, but you might consider bringing your own. I see nothing on the website that says it's not allowed. If not a pop-up, consider an umbrella. There is plenty of space for blankets on the grass. Pack a cooler and have a picnic. We actually came unprepared for this portion of our day so Nana (my mom) did a Chick-fil-A run, but I can definitely see the benefit to thinking ahead! What else to bring: sunblock, a hat and/or sunglasses, lots of water, at least one change of clothes (down to shoes), towel(s) and/or wipes. Adventure Playground is really a park within a park. It's located right next to the community center, tennis courts, another playground, and a giant field. 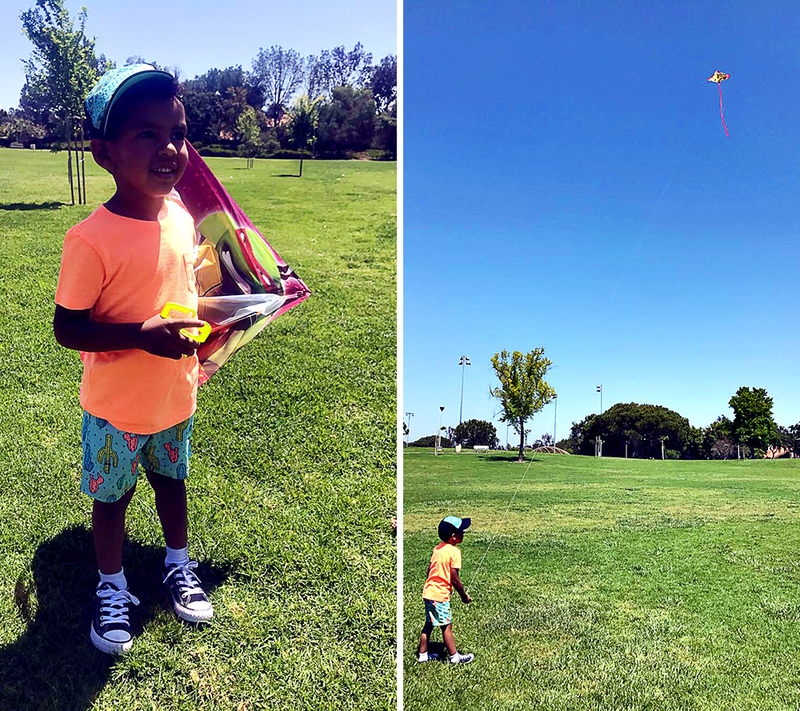 After we left Adventure Playground and changed the boys into dry clothing, my sister surprised them with kites. It was the absolute perfect day for Benjamin to fly a kite for the first time! 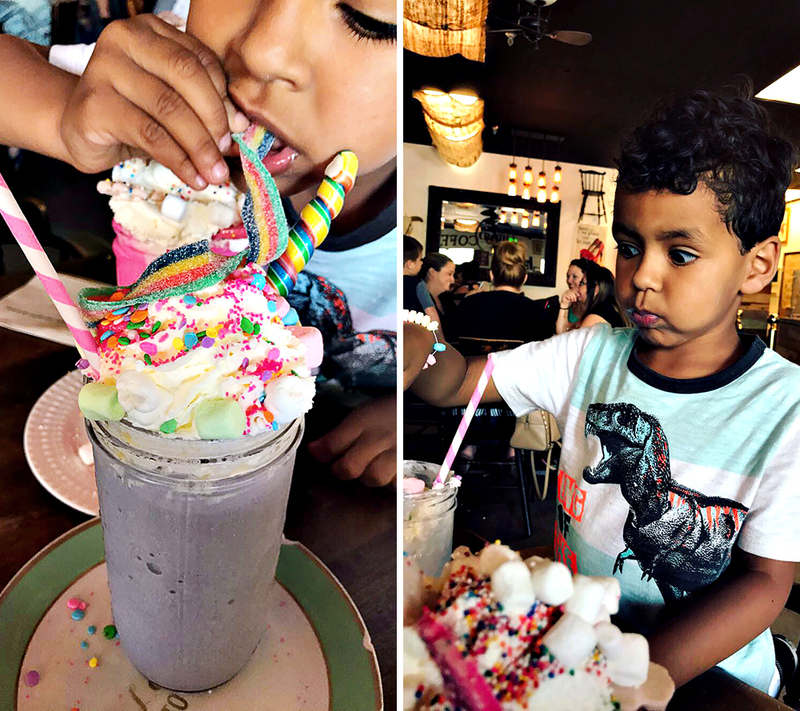 Both boys had the best time and it was a great $6 spent. If you have the time and the weather calls for it, I recommend taking advantage of the huge field while you're there. I actually used to nanny in CDM and it's one of my favorite California beach communities. 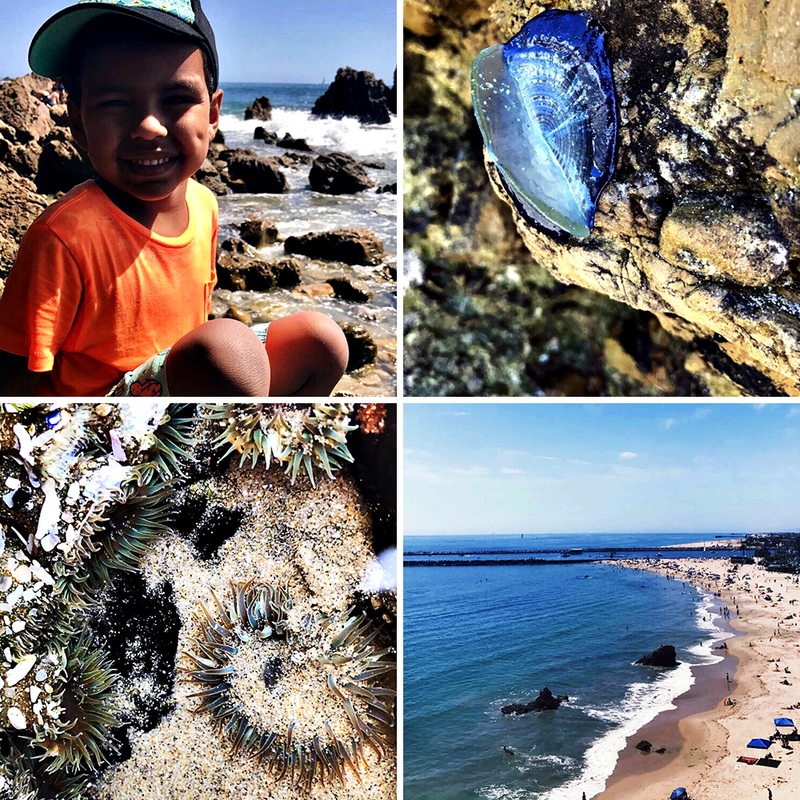 Little Corona del Mar is located in Newport Beach, and flanked on both sides by rocky reefs. I wanted to take Benjamin during this visit, specifically to look at the tide pools here. Consult the local tide schedule for the best time to visit. Wear water shoes with hard soles! You will thank me for this one. 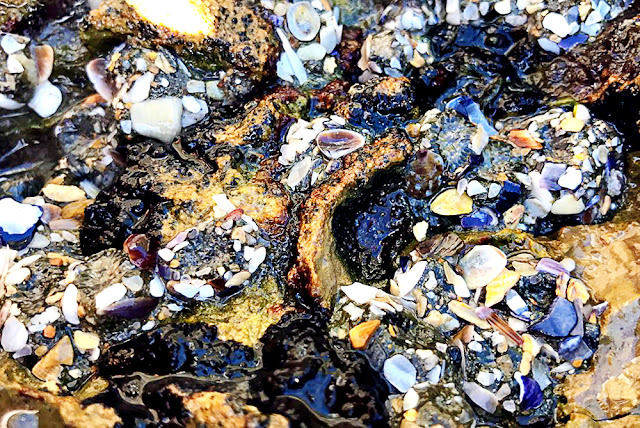 What to keep an eye open for: sea anemones, crabs (hermits and regular sized), small fish, starfish, and sea slugs. Mind the posted signs with rules. It should go without saying that you need to leave as little to no traces of being there, when you leave. Be mindful and safe. Address: 6312 E Santa Ana Canyon Road, Anaheim. Hours: 9 a.m. to 9 p.m. Tuesday through Sunday; Closed Mondays. I first discovered Creme & Sugar through Instagram. 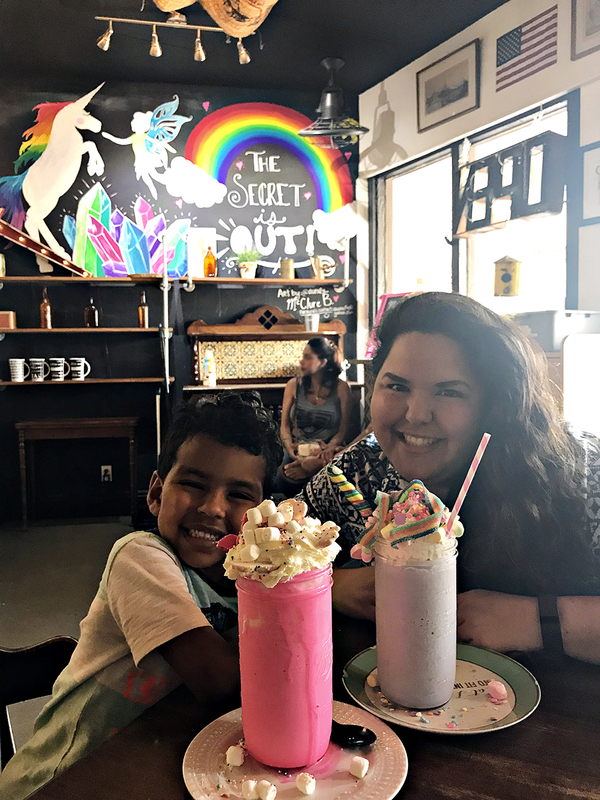 I got one look at the Unicorn shake and added it to our "must-do" list. 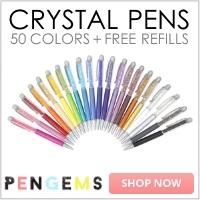 I had absolutely no clue how much it would cost (no pricing on their website) and I didn't care. So, here's the low down. We bought one Unicorn shake and one Circus Animal shake. They were $10 each. 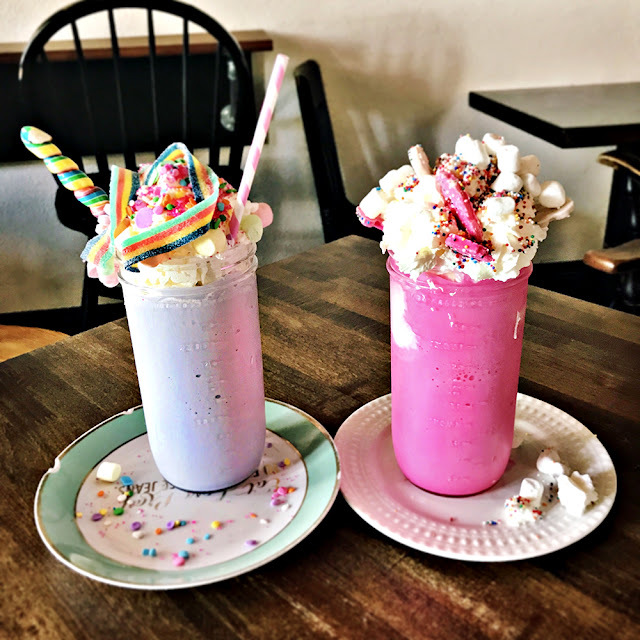 I'll admit that that does sound pricey when you're talking about a shake, but this isn't your local 50's diner malt shake. This is an experience. So, yes, I'm including $20 in shakes to our "free and cheap" guide because $20 is cheap when it comes to a happy memory, am I right? This is an experience I think you're going to want to squeeze into your 48 hours in O.C.! I'd love to hear your ideas for fun, free and cheap things to do in Orange County!